​The second round of ​NBA All-Star voting has been revealed and there were some very surprising results. Most notably, ​Dallas Mavericks rookie forward ​Luka Doncic had the fourth-most votes among anyone in the league, which is actually more than ​Warriors star point guard ​Steph Curry. Doncic is currently sitting as the second-highest vote-getter in the Western Conference, trailing only LeBron James (2.779 million). Doncic is currently ahead of Curry by more than 100,000 votes. Doncic has certainly taken the league by storm this year, proving to be one of the most exciting rookies the league has seen in recent years. He has instantly become a fan-favorite which can be seen by his high volume of votes. 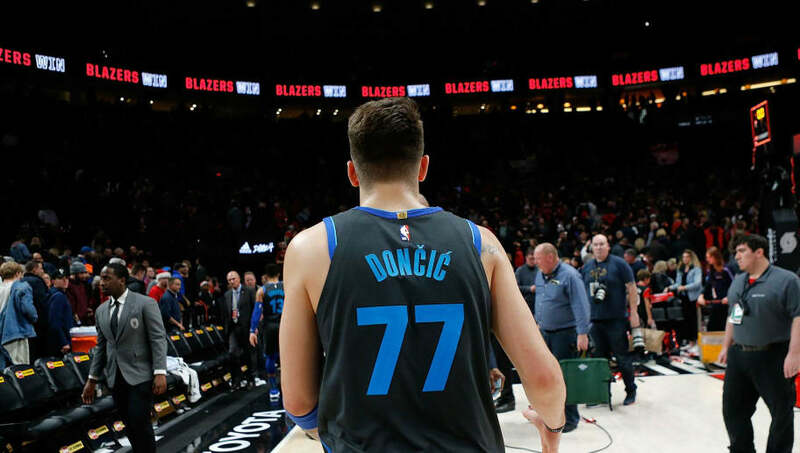 Doncic, a native of Slovenia, is also encapsulating a large amount of votes from international fans. In the 2018-19 season, Doncic has averaged 19.8 points, 6.7 rebounds and 4.9 assists per game while burying 37.4 percent of his three-point opportunities. Doncic is on his way to superstardom and it hasn't taken the league, or fans of the NBA, long to realize that. With the amount of votes he has received, there's a real chance that Doncic is named an All-Star starter in his rookie season.